MCF advocates to advance goals of promoting charitable giving and philanthropy and creating prosperity through inclusion and equity. 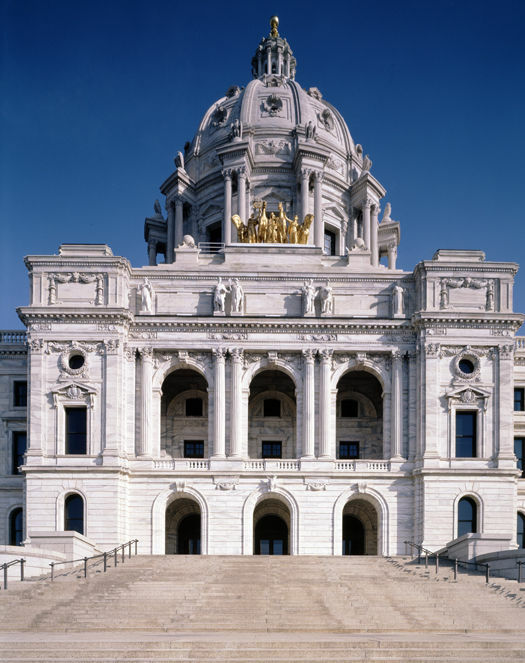 Our advocacy takes the voices of Minnesota grantmakers to Washington, D.C., to Minnesota state government in St. Paul and to policy conversations in communities throughout Minnesota. We keep you up-to-date on policy news and particularly those issues that are the focus of MCF's advocacy on behalf of Minnesota grantmakers through Policy in Focus. MCF's Annual Advocacy Agenda includes our advocacy priorities for the year; the narrow set of issues we are going to "lean into" with proactive commitment to make progress on creating change during the coming year. MCF's Legislative Statement is our compendium of public policy statements and positions. We have an ongoing commitment to monitor and act on the issues included in the Legislative Statement. The best way to get connected with our public policy work is to join the MCF government relations and public policy committee. But, we offer other issue briefing, skill-building and learning opportunities through our public policy programs to help you share what you learn through your grantmaking with policy-makers and increase the impact of your grantmaking through advocacy and public policy. You are our best resource for action. Two things you can do are to stay informed by receiving MCF's periodic public policy update email newsletter and let us know who represents you in the US Congress and the Minnesota State Legislature. Contact us so we can get your name added to the public policy update email list and help you identify your representatives. Public policy positions adopted by MCF are the positions of the Council and not of its individual members.